Hello Friends! Tonight’s feature image is titled “Breakfast Meeting” and is available for purchase by following the instructions at the bottom of the page. The big blue truck rolls to the end of the parking lot as the morning sun burns away the previous night’s rain clouds. I turn volume down on the podcast and take a sip of the coffee I’d purchased with my sausage and eggs. I normally eat breakfast at home but the previous night’s storms had knocked out the power making the stovetop useless. I was quite a bit early for my shift and there was time to enjoy the change in weather. I love the way the world smells after a rain and after being sequestered by ice and snow I didn’t mind if it was a little on cool side. Just as was finishing my eggs I caught some movement out of corner of my left eye. I’d been feeling low about having breakfast alone since my little buddy Scout normally rests his head on my chair and waits to get the last bite. But doggies aren’t allowed in cubicles so he’s at home curled up on his pillow. I was not alone however. Well up into the treetops the movement was coming from the shakes of a bushy tail. I watched as the squirrel deftly shifted from twig to twig selecting only the finest and tastiest buds on the tree. The wind would occasionally shake the boughs but the squirrel was as steady as a career sailor in rough seas. He seemed to be watching me watch him as he enjoyed his meal. Occasionally he would try to disappear behind the thin branches and peek out believing that he was really hidden. I lost sense of time while being amused by his antics and before I knew it I was down to wire for clocking in. The sense of peace from spending time with nature however was something that I was able to carry throughout the whole day. Recently the warm weather allowed me to get out for a few minutes and visit the bird feeder at my dad’s house. Dad goes all out for his little feathered friends. The TV is on but he has his binoculars pressed to his face looking out the window at all the activity in the chestnut trees on the edge of the yard. The term “yard” is kinda used loosely at dad’s place. In general it’s any place where you mow plus just under the trees where the woods begin. As we observe the feeding dad recounts the events at the feeder over the past few days. He hasn’t actually named these birds out loud but he knows all of the species and individuals who frequently visit his yard. He tells me that the Common Flicker in tonight’s feature image is the boss of the yard and how he even challenges and keeps at bay the murder of crows that are larger and outnumber him. He talks about the covey of mourning doves and how one always lands on the feeder and tosses food down to the ground for the rest of them. A Pileated Woodpecker swoops in as dad talks and lands on a dead limb of a hickory tree. He hits the dead wood like a jackhammer and sends wood chips flying everywhere in his search for insects living in the wood. ( I tried to get a nice shot of the Pileated Woodpecker but he’s far too camera shy and took flight as soon as I stepped outside.) Dad has one mortal enemy at his bird feeder and surprisingly it’s not the squirrels. It’s a mob of Common Grackles that have run the bluebirds out of his yard and have even overwhelmed the Flicker on occasion. The former Marine came out in dad’s eyes when he postulated on how to defend his songbirds from the Grackles. A few minutes later he softened a little and said that God had a place for the Grackles too. Most of shots from the window didn’t really turn out well and so I put my wilderness stalking skills to work and began to ease myself closer to the feeder. Most of the birds scattered at first but soon the chickadees returned. Small and agile the chickadees figure they can be gone with a mouthful of food before the human can react. I remained as motionless as a stone until they began to ignore me. As soon as the others saw that I wasn’t chasing after the chickadees they also returned. Then finally the Flicker decided that it was time to let me know that this was his feeder. The others gave way to him as he came in for a landing. He dug into the seed mix and found the one he wanted. Then he flew directly at the camera so fast that I couldn’t adjust the focus. He pulled up at the last moment and landed on the branch above me. Few a few minutes he seemed to play peekaboo by popping out from the tree with the nut in his beak. Finally he tucked it into his hiding spot on an upper branch. I watched him repeat this stunt a few times before I went back inside to visit with dad some more and share the photos with him. I’ve been told that some days are for the birds but that’s not necessarily a bad thing. I want to encourage you to spend some time birding. The songbirds not only bring much needed beauty to the dull winter climate but also share their beautiful songs and impart a little peace to your morning. I am working on a new distribution channel for prints and products that will allow me to provide a better buyer experience but for now please continue to use the information below. 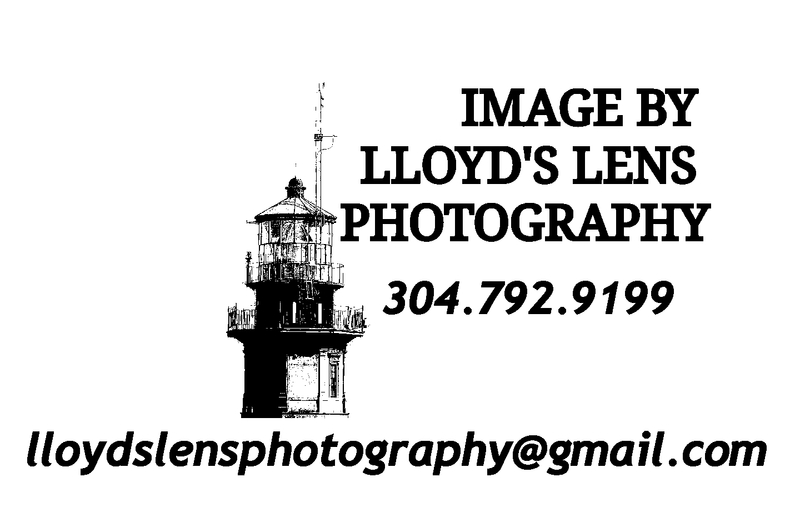 All Images used by this blog are the original work of Lloyd’s Lens Photography and may not be copied or reproduced without expressed written permission from the photographer. To purchase a copy or request a license please contact me using either of links below. Tonight’s Feature Image is titled ” Friendship & Sunshine”. If you would like to purchase a copy please use the contact info at the bottom of page. There’s something special about having a day with nothing to do but sit by the river with a friend. I look at the ducks in tonight’s feature image and I have to imagine that they’ve been best friends since the day they met. As they stood there on their rock looking out over the Kanawha River they seemed to quack to each other in a hushed tone and this could only mean that were gossiping. Which makes me wonder what ducks would gossip about?Perhaps they are having a conversation about Gertrude. “Gertrude thinks she’s in charge of everything but she’s just a silly old goose.” Or maybe they are talking about what an old crow Joe is. Of course it might not be gossip at all. They could be quizzing each other on the lecture given by the wise old owl last night. So that when he asks who they’ll be the first with the right answer. Perhaps they are discussing the sermon that the cardinal gave last week or the upcoming drake concert. I can almost hear one say to the other that “The hummingbirds are going to open for him!”. They could be commenting on how tall young Mr Crane is or Mrs Dove is so pleasant. It’s also entirely possible that one of them is saying that “There’s some guy sneaking up behind us with a camera.” Of course it doesn’t matter what the conversation is about. All that’s really important to them is spending time with a best friend. I was commenting with my friend today about negativity in our lives. Negative attitudes are everywhere. They invade our jobs and businesses. Negativity comes into our homes through our television and social media. Some days it seems like we’re surrounded by those who feed on misery. Titled “Job’s Comforters”. Clicking on the photo takes you to the contact form. But,I know the the chink in their armor. Whatever you chose to feed grows and whatever you chose to starve dies. Sounds like a simple solution right? Just stop feeding the negative emotions and the problem goes away. Well, kinda. Sometimes the negativity takes on a life of its own. It wants to exist. It’s hard at first to focus on the positive but soon the starvation effective kicks in and those negative voices began to weaken. The buzzards that gather around just waiting for us to fall will eventually have to find a new roost. Titled “The Fleeing Of Fear”. Click the photo to order. The clouds will part and the sun reclaims the day. Titled “The Storm Breaks “. To order a copy click on the photo. The positive thoughts we feed will grow. And soon we’ll have a new companion to keep us company. The power of change isn’t in the voices on television or the clever comments on social media. The power of change is in you. It’s in what you chose to give your life’s energy too. Do you chose to feed the buzzard or the parrot? Do we see the dark clouds or the sunshine that peeks through them? Recently, I’ve been made aware that many of my posts on Facebook are being buried in the feed. So, if you don’t want to miss a post then you can sign up for email alerts on my website at the bottom of theWelcome Page. My heart still skips a beat when you walk into the room. I’m still lost in your eyes. I still tingle when you hold my hand. I still dream about you all day. I am now and always will be completely yours. A couple of years ago when I visiting my dad, my mom came into the room and with a hushed voice announced that the twins were here. She then lead me to the window and pointed out at the two baby deer asleep in the back yard. I had just taken my T-5 out the box a few days prior and I decided that this would be my best opportunity to try it out. Being familiar with the behavior of the local deer population I opted to “trust stalk” them. I snuck out the other side of the house with my T-5 in hand and slowly walked along the side of the house. Even though they were only a few weeks old their keen instincts and finely tuned senses told them that they were no longer alone. Fortunately for me their natural reaction was to freeze in place and try to be as invisible as possible. I made a point to not look at them and sat down in the grass nearby. I would occasionally speak in a soft tone and purposefully let the know I where I was. The idea is not to act like a predator. A predator would try to sneak in on them so by not sneaking I was avoiding the flight or flight response. Eventually I just laid back in grass and pretended to be napping myself. I could see them out of the corner of my eye. They would perk up their ears and zone right in on me. The flick of a tail would let me know that they had relaxed again and would work my way a little closer. Eventually I got in range for framing I wanted and slowly rolled over on my stomach. I raised the viewfinder to my eye and engaged some of the marksmanship skills that I had developed as a hunter. I turned my camera on and the click from the power switch was all it took to bring them to full alert. They got up but didn’t run. Instead they they separated from each other a little and waited to see if I would chase them. When I didn’t they hesitated. The one in the feature image decided that if he stomped his foot that I just might be intimidated enough to leave. When I didn’t they decided to move into the shadows under a thick hemlock tree. They never did get close enough for me to say that I fully gained their trust but they did eventually come back into grass after I left them alone. Tonight’s Feature Image is titled “The Discovery” and is available for purchase by using the Contact Form on my website.